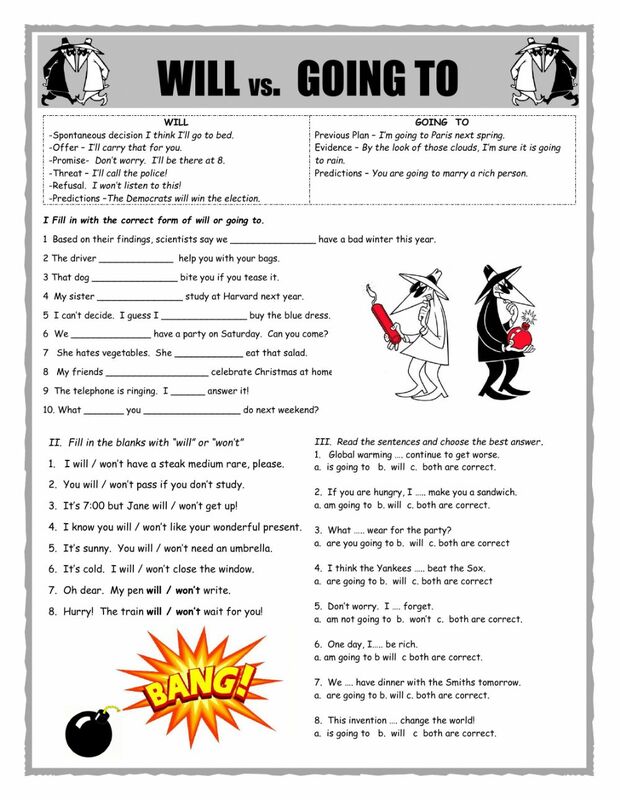 Tutor and exercises for learning the differences between will and going to. Copyright 6/1/2017 estherlee76. Publication or redistribution of any part of this document is forbidden without authorization of the copyright owner.